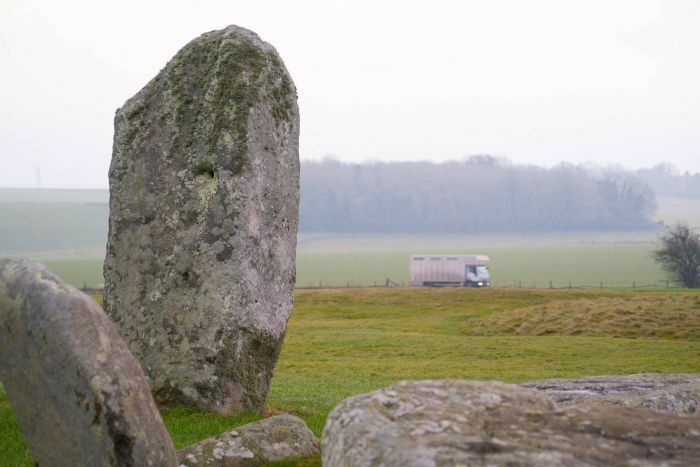 Home /Could the mysteries of Stonehenge be destroyed by a multi-billion-dollar tunnel? For millennia Stonehenge has been the centrepiece of Neolithic funerals, druid festivals and pagan ceremonies. Now the iconic monoliths find themselves at the centre of a battle over traffic and money — and the potential destruction of priceless artefacts. 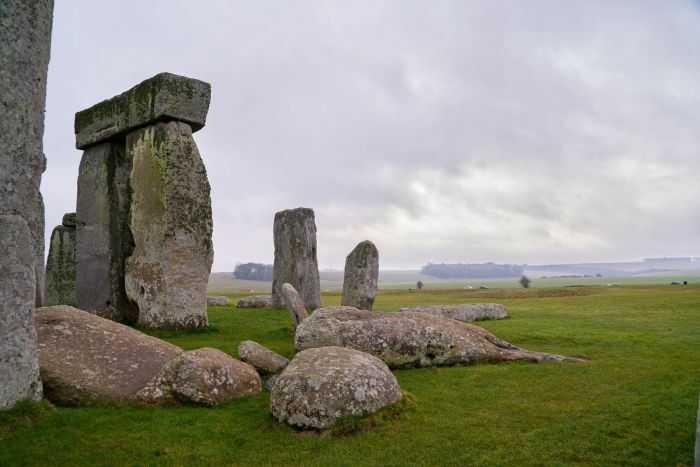 The British Government wants to plunge a 2-kilometre, $3 billion tunnel underneath the Stonehenge World Heritage site — which houses one of the planet’s most iconic prehistoric monuments. 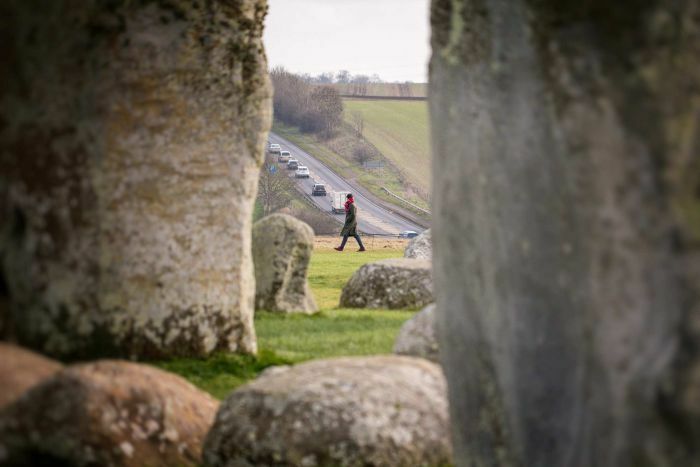 Just a stone’s throw from the monoliths is the busy A303 highway, a road which connects London with southwest England. 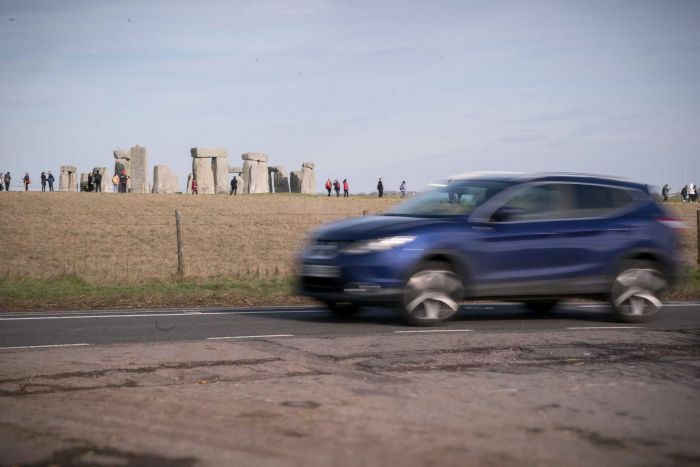 The proposal by Highways England to replace it with a tunnel has pitted archaeologists against Stonehenge’s current custodians, English Heritage. “This is supposed to be a tranquil, ancient monument,” Stonehenge director Kate Davies told ABC News. “Unfortunately, the blight of traffic really impacts upon the setting. The stone circles are just one part of a 25 square kilometre World Heritage area, which is dotted with the remains of ancient settlements, unexplored burial grounds and even the remains of an often overlooked Woodhenge — a 4,000-year-old wooden burial circle. It is this density of prehistoric wonders that has archaeologists like Mike Parker Pearson worried. “The tunnel is too short,” he said. 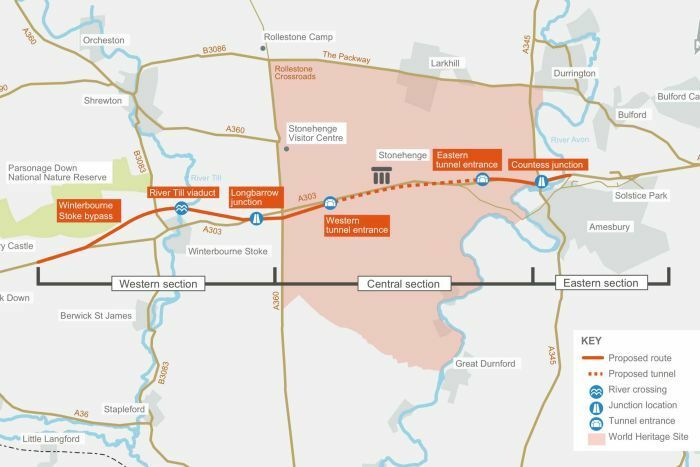 “The world heritage site is 5 kilometres long across, the tunnel is only going to be 2 kilometres, that means for the road required, most of it will be above ground within the world heritage site. Professor Parker Pearson, who is based at University College London, is one of the minds behind the current theory that Stonehenge was an ancient mausoleum. “The theory we’re now working with is that it’s not simply just for the ancestors but that it was actually uniting the ancestors and different tribal groups in Britain,” he said. For centuries the legends and beliefs of the time have influenced how people have seen Stonehenge. Last century an astronomer hypothesised it was a sort of astrological computer, able to predict solar eclipses. Many of the alignments that supported that theory have since been put down to coincidence. 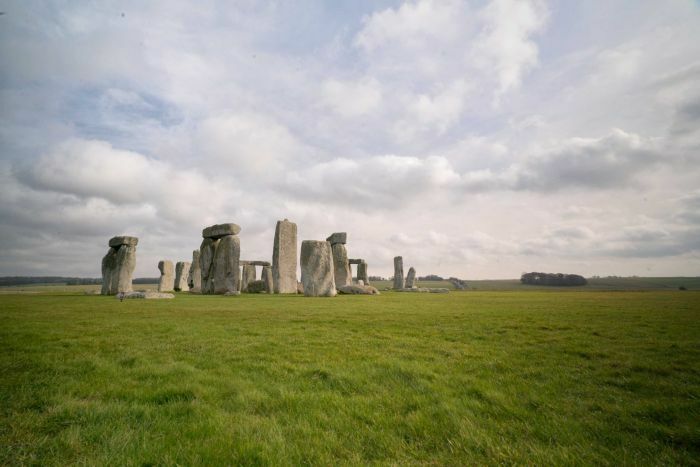 Debate has raged for centuries over the origins of Stonehenge. 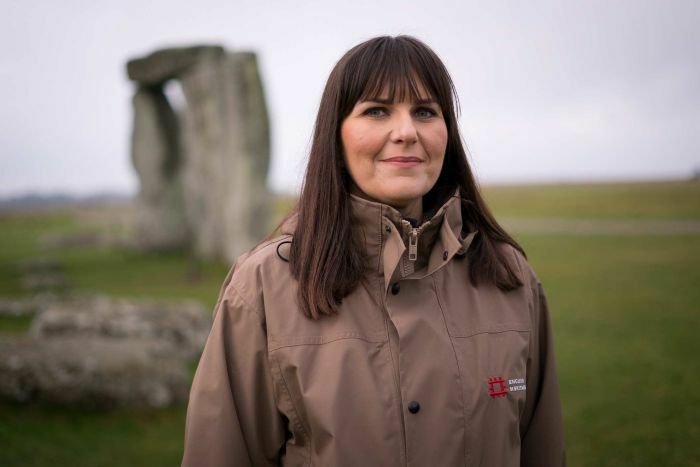 But now a new – and no less epic – conflict has been sparked by the British government’s plan to build a tunnel alongside the UK’s most iconic stone circle. Others have thought Stonehenge may be a temple to Satan, the work of aliens, or even a burial ground transported from Ireland by King Arthur’s wizard Merlin. Proof of Stonehenge’s exact purpose appears to have been lost in the mists of time, but researchers fear it may also be lying undiscovered inside with World Heritage Site. In a recent report it said the current tunnel proposal “is not adequate to protect the authenticity, integrity and Outstanding Universal Value of the property”. “The road as it stands is doing no damage,” said Professor Parker Pearson, who is also a member of the UNESCO Scientific Committee overseeing the road proposal. “The road that is proposed will do considerable damage. On weekends and school holidays this number rises even further, meaning lengthy delays for commuters travelling between nearby villages and traffic heading from London to the country’s south-west. Simply widening the road is unacceptable to many archaeologists. UNESCO has described a bypass around the World Heritage site as the “best option”, but this comes with its own set of challenges. Just to the north is Britain’s largest military training area, where the roar of huge Chinook helicopters and the thud of artillery add to the traffic noise for tourists visiting the stone circles. To the south is pristine countryside, nesting habitats of rare British birds and, according to Highways England, more archaeological sites. But Kate Davies said the boundary of the World Heritage site should not be used arbitrarily. “There’s lots of precious archaeology and important environmental features outside of the boundary as there are inside the World Heritage boundary,” she said. 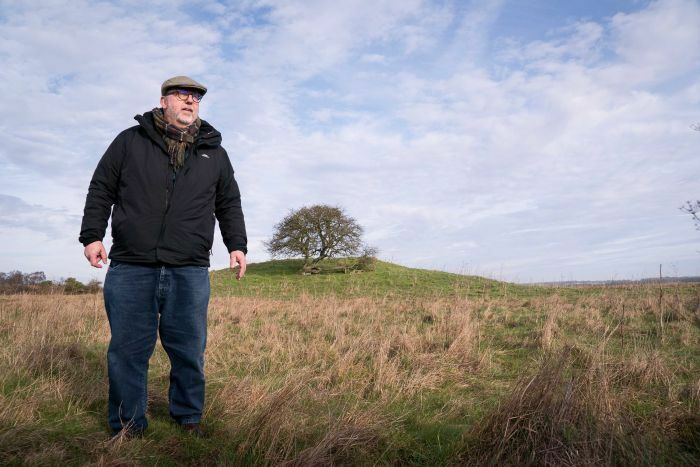 There are some who are suspicious of English Heritage’s support for the tunnel, saying it is less about easing traffic and more about controlling access to the site. 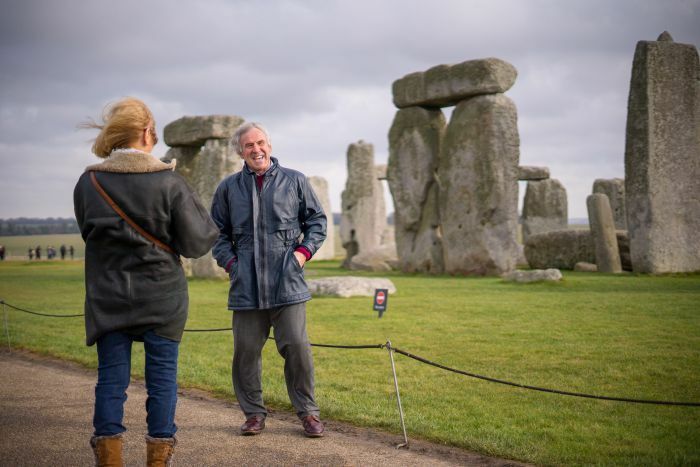 “You can actually see the stones from the road, which is a magnificent thing for people to be able to enjoy and engage with prehistory from travelling through in a car,” Brian Edwards said. 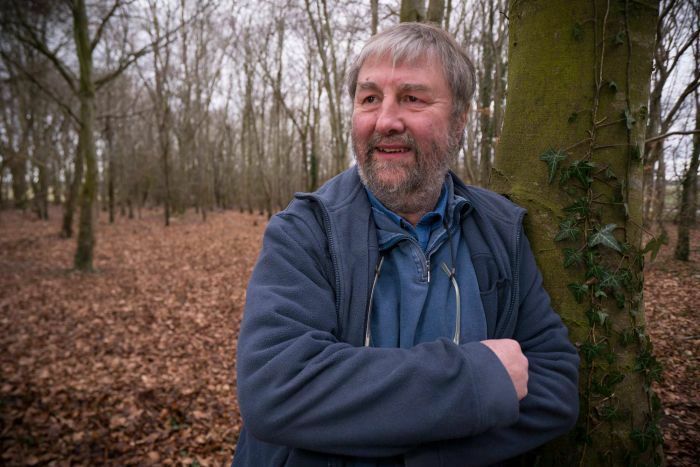 As well as being a research fellow at the University of West England, Mr Edwards is also a part of a coalition of local residents and landowners trying to stop the tunnel. “Stonehenge doesn’t belong to English Heritage, it doesn’t belong to the government here, it belongs to everybody on the whole planet, and everybody recognises Stonehenge and its importance,” he said. 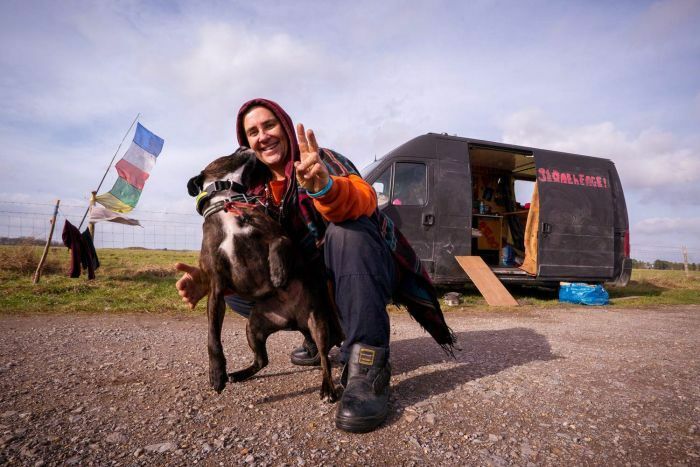 It is a view shared by the handful of travellers who camp for free on the side roads connected to the A303. “For me it’s a place of meditation, a place of energy, a place of peace,” said one traveller who called himself Buddha Tony. 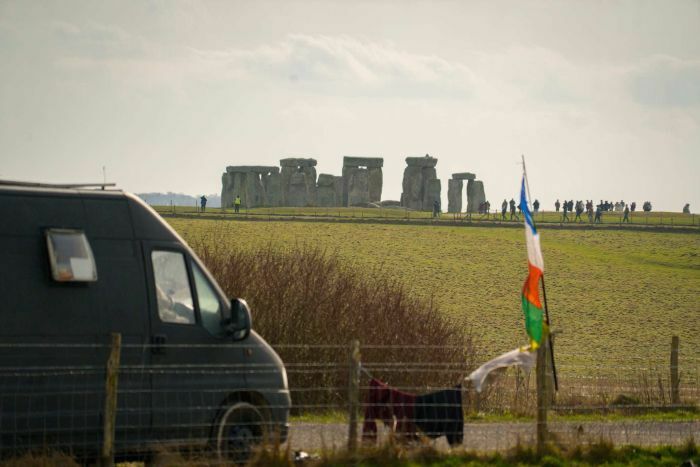 From the campervan he shares with his dog Lucy and three ferrets, Tony has uninterrupted views of the ancient wonder. But he fears free access to views like this will be blocked if the A303 goes underground. “People need to see what it is,” he said. Ms Davies denied the organisation had a financial motivation but conceded the stone circles would continue to be a “ticketed site”. A family ticket to enter costs about $85. According to Ms Davies, closing the highway will actually benefit those who cannot afford the price of admission. “I believe there will be a higher degree of access, free access, to the whole world heritage landscape,” she said. But Professor Parker Pearson says none of these benefits outweigh the risks. “This is the iconic prehistoric monument in the world,” he said. If approved later this year, construction would not begin before 2021. For these stones, it will be the blink of an eye.